The rocks that underlie North Carolina tell a story of almost 2 billion years of Earth history spanning the forming of two super continents, multiple rifting events, and the collision of multiple terranes. 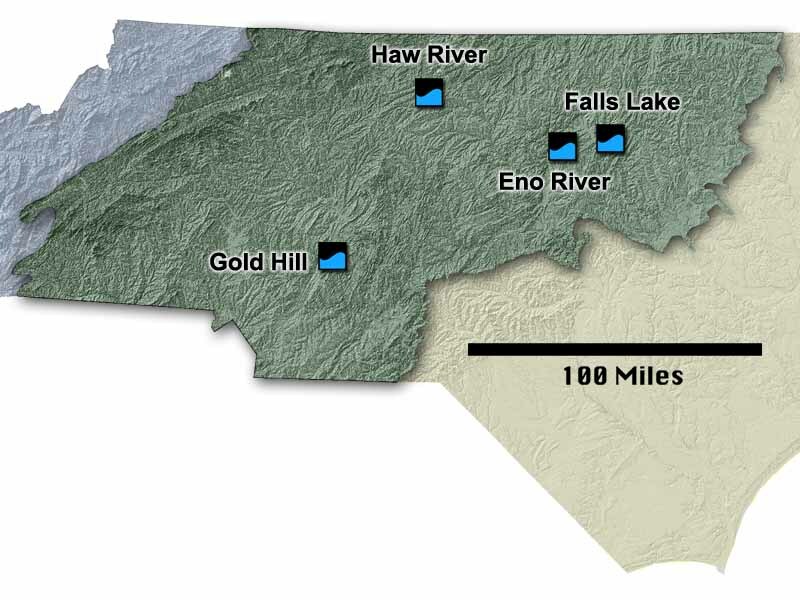 The Piedmont contains a collection of accreted terranes that through plate tectonics slammed into and became part of the Laurentian continent and North Carolina. Other Geologic Educational Experiences in the Piedmont. Chris Bagley (undergraduate student from Appalachian State University) assisted with the development of the layout and design, banner, and other graphics of the website through the Appalachian State University's Dean of Arts and Science's Summer Research Stipend.